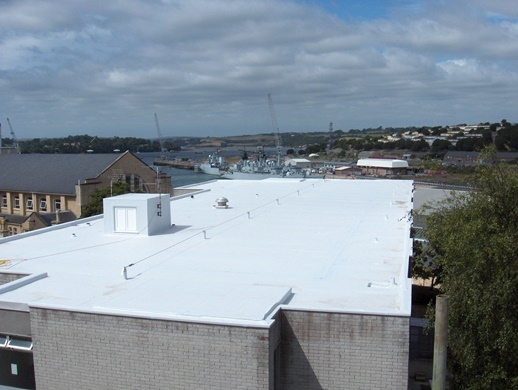 What type of roofing projects are single ply membranes suitable for? Home Blog What type of roofing projects are single ply membranes suitable for? Single ply is increasingly specified as standard for large public sector and commercial projects due to its proven long-term performance, design flexibility and speed of installation. It’s a versatile material – even more so than most imagine. However, different types of single ply are suitable for different jobs, and on some occasions an alternative waterproofing system should be used. So what is it suitable for? Many people think single ply is only used on large, ‘football-pitch’ type roofs. 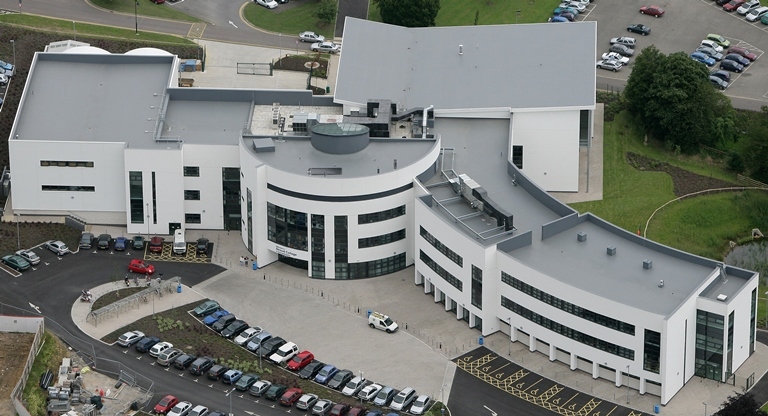 However, the average size of project we see at IKO Polymeric is around 400m2 and that can include all types of buildings. A number of contractors also install single ply onto garages/extensions. Good workmanship is key in domestic installations – homeowners can be more critical of the appearance of a roof than a multinational client, who may be more concerned about waterproofing than aesthetics. Around 30% of our single ply is used for refurbishment. With fleece-backed membranes and PU adhesives we can use the existing waterproof layer as a substrate and bond the insulation board and membrane directly. Overlaying an existing roof is cheaper for the client and is quicker to install. 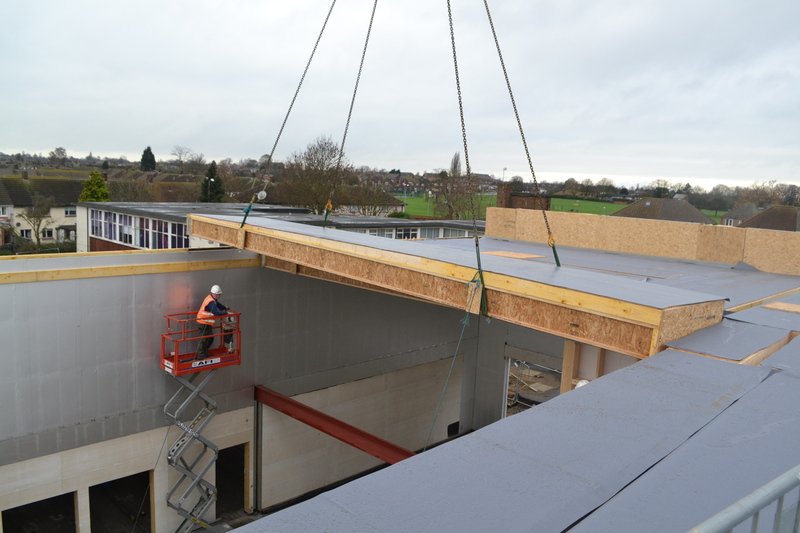 Single ply can also be used for offsite and fast-track construction, either as the waterproofing element in composite panels (delivered to site and craned into place), or pre-fabricated made-to-measure roof coverings. Our Specialised Products Division can make sheets up to 6mx20m as well as the most intricate prefabricated detail, for example. Although single ply is extremely versatile and works well on most building types and shapes, it isn’t the answer to everything and in most instances temporary protection is required to prevent damage from following trades. Single ply isn’t usually recommended for plant/factory areas which have a lot of detail or more importantly are heavily trafficked. Some single ply membranes aren’t compatible with other waterproofing solutions unless they’re separated by a bund detail, for example. Some membranes, like our Spectraplan TPE membrane, can be used with bitumen systems, mastic asphalt, liquids and hot melt but it’s best to get advice from the manufacturer beforehand. PVC (Polyvinyl Chloride) membranes are often the first choice for single ply projects. It’s lightweight, easy to use on details and joints on ‘wave-form’ or curved roofs, and looks good while remaining cost-effective. Most contractors and installers have been ‘brought-up’ on PVC since its UK launch in the 1980s and it remains popular due to its flexibility, easy hot-air welding and wide range of accessories. PVC’s environmental credentials have got better with improvements in material technology and production techniques. It’s also recyclable – we don’t waste a single metre of single ply in our factory. It’s worth noting that the formulation of single ply can vary enormously from one manufacturer to another, which affects the end result. Cheaper/less plasticiser in PVC membrane for example, makes it harder to work with and less durable. Thermoplastic Polyolefin (TPO) membranes have been used since the early 1990s. TPO membranes don’t contain chlorine or plasticisers and are inherently flexible. However, it can be much stiffer than other alternatives, which can cause difficulty when installing, especially for detailing. 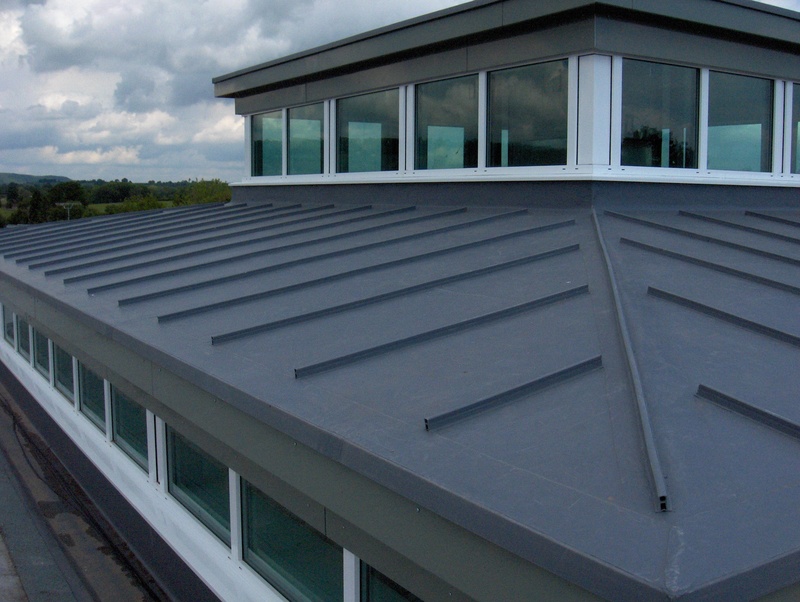 Generally TPO membranes aren’t specified on projects where aesthetics are important or which require a standing seam. It has a high level of movement (expansion and contraction) in hot and cold weather throughout the lifecycle of the product, which can affect aesthetics. TPO can be welded at approximately 300˚C at 3 linear metres a minute using an automatic machine, and solvents are usually recommended to remove construction dust before welding seams. Thermoplastic Polyolefin Elastomer (TPE) is a next generation membrane that combines the positives of PVC (flexibility, easy welding, smooth, attractive finish) and those of TPO (plasticiser and chlorine-free). In look and feel it’s almost identical to PVC and can be used for projects where appearance is important, including tricky detailing. TPE membrane has a high polymer content of 60%, so it can be repaired without using an additional patch. Once weathered in, the fix is almost impossible to see. It can be hot-air welded between 200-600˚C at up to 6/7 linear metres a minute using a machine. The installation is solvent-free, although a very occasional wash with hot soapy water may be needed on heavily soiled, older TPE roofs. TPE has a degree of thermal movement, which generally occurs during installation. This can be reduced significantly if the manufacturer’s recommended fitting techniques are followed. Of course any roofing system is only as good as the installer, and this often depends on the service and support manufacturers provide. IKO Polymeric has a state-of-the-art training centre offering SPRA-accredited courses for contractors. Training covers welding techniques, system build-ups, components and detailing. Installers are assessed onsite by field engineers to ensure classroom lessons are executed successfully in the real world. Our Technical department also offers advice including site surveys, a specification service, and design tools. Working with our colleagues at IKO PLC we look at each project on its merits. If single ply isn’t suitable we can suggest other waterproofing solutions, such as hot melt, built-up roofing systems or mastic asphalt.